Nigel Farage, the former leader of the UK Independence Party, who openly supports Republican presidential candidate Donald Trump, came to his defence in St. Louis, throwing his full weight behind the contentious property tycoon. Farage is one of few political leaders still in office who actively praised Trump’s performance, and campaign after the second presidential debate, at a time when other US Republican politicians had distanced themselves from Trump. Trump faced a difficult 48-hours before the debate in which he was forced to apologise for appearing to boast about groping and wooing married women. Top US Republicans including Arizona Sen. John McCain and former Secretary of State Condolezza Rice, have withdrawn their support for Donald Trump. Following the debate, however, Farage was joined by Alabama Senator Jeff Sessions and Missouri Representative Jason Smith, who took questions from reporters in the “spin room”. 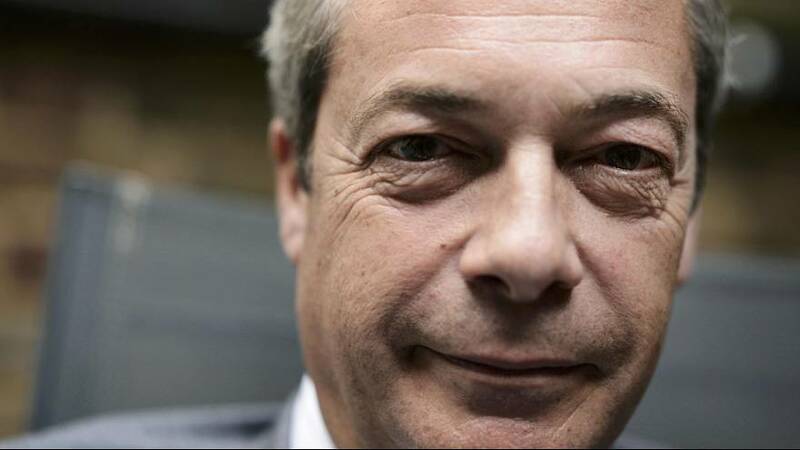 Farage has not officially endorsed Trump for president. Speaking to reporters Farage lauded Trump’s often scrutinised composure and demeanour during the debate, telling Sky News he “dominated” the studio, the moderators and rival Hillary Clinton. Comparing Trump to a Silverback Gorilla “prowling the studio” Farage suggested Trump was able to bring momentum back into his campaign and scored points when he sparred with Clinton on policy issues including “terrorism, security and business”. This was not the first time Farage has spoken in favour of the Republican candidate. He appeared at a Mississippi Trump campaign rally in August one week after Trump had branded himself “Mr. Brexit” an attempt to brand himself, much in the way UKIP has in the UK, as a political outsider calling for change in the halls of government. It was a move that Farage attempted to further cement, drawing parallels between the Trump campaign and that of UKIP’s lead-up to the June Brexit referendum. Farage on Sunday revisited that narrative tying Hillary Clinton to the European Union. Farage said her vision is in line with “a one-world government of which America would be a part” engendering loss of US sovereignty particularly within the US Supreme Court, which could potentially anger US voters. Speaking to the BBC Farage attempted to drive home this point, that Trump’s candidacy represents a change from business as usual in politics. Though Farage told Fox News he thought the second presidential debate was a draw, he was quick to suggest Trump’s posturing and aggressive attacks dented Clinton’s performance. He suggested Trump suffered from political debating inexperience when he first faced off with Clinton. Trump was forced to apologise for comments recorded in 2005 in which he boasted about groping women. Trump attempted to downplay the ensuring scandal in the debate as “locker room” talk. It was a message Farage too promoted in speaking with Sky News.